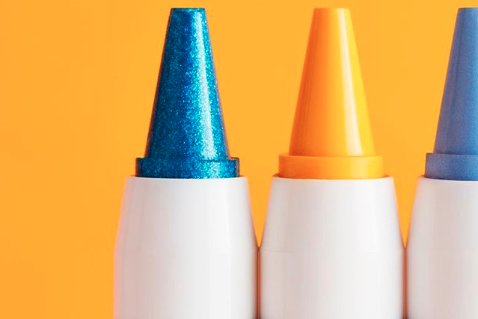 Crayola partnered with online fashion and beauty retailer Asos to launch its 58-product beauty line. Using Crayola products — especially for us Pennsylvania kids — was a staple of elementary school. Trading colors, envying that one kid who got the pack with the built-in sharpener. If you ever got a fresh set of crayons at the beginning of a school year, it was quite a victory. Well, Crayola announced another victory for fans of the brand this week. To appease those of us who can't resist coloring our faces with crayons (yes, those people exist and it's a fascinating cultural phenomena), the company has decided to dip its toes into beauty with 58 products that are officially up for grabs online. On Crayola's FAQ page, the company actually had to specify it's not safe to use crayons or colored pencils on your face as makeup – meaning apparently there was demand for those new highly pigmented, vibrant formulas. So far, previews are applauding the creamy formulas and rich colors, many of which are in original Crayola crayon colors. The products include lipstick and face crayons, eyeshadow palettes, a makeup brush and pencil case set, highlighters and colored mascaras. Check it out here.